“What’s your favorite subject?” is a common question posed to children and most times the answer comes back resoundingly, “P.E!” We all know math, reading and science are all very important for developing life skills in children, but so is that favorite subject: health and physical education. Charter Day School has announced its Teacher of the Year for 2011 is Stacey Marjoram, director of physical education, who has been with the school for five years. She started working at CDS after graduating from East Carolina University where she received her B.S. in physical education. Marjoram explained she grew up being physically active. “I was raised in a military family and since we moved every three years, our parents encouraged us to use physical activities and sports as a way to meet new friends,” she said, who had first-hand experience for her future career; her mom was a physical education teacher, as well. When asked what the best part of her job is, her eyes lit up as she talked about teaching kids. Marjoram works with all children at Charter Day School from kindergarten through the eighth grade teaching physical education at every fitness level. She follows the Healthful Living curriculum, which teaches the importance of health and physical activity starting with locomotive skills development in the elementary grades and continuing to game skills in the middle school classes. “This program allows us to teach health education and physical education with the end goal that our students will continue to be healthy and active for a lifetime,” she said. 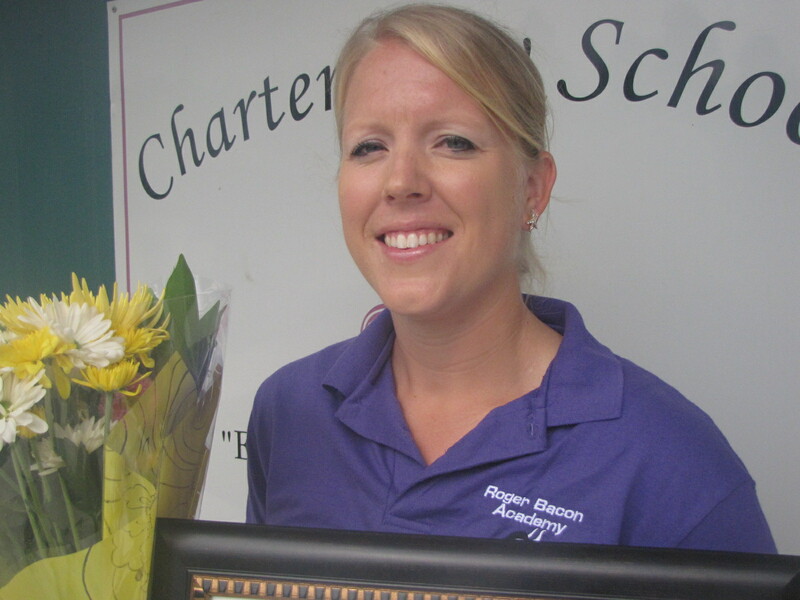 Teaching is only part of the reason administrators selected Marjoram as Teacher of the Year. Qualities based on leadership skills, teamwork, extracurricular activities, willingness to learn, classroom management, motivational and communication skills, mentoring and innovative instruction all played a part in the selection process and she scored extremely well in all of the categories. “The 2011 Teacher of the Year for Charter Day School is one of the most dedicated people I know. She puts her all into each of her students and always strives to make her teaching better with each of her classes. Throughout her years of teaching, she has touched hundreds of children from all backgrounds, abilities and ages making them all feel welcome in her class. As one of the mentor teachers at Charter Day School, she shares her years of experiences and wealth of knowledge with the newer staff to assure that they are becoming the best teachers they can be. She is a strong support and an excellent role model who shows selflessness and devotion to Charter Day School, her co-workers and her students, which make her an inspiration to us all. “I have never heard her complain about not having resources to teach with, but instead she uses her creativity and resourcefulness to form a class, which almost every one of the students says is their favorite class. She stays upbeat and positive while encouraging her students to participate and better themselves. I have also seen her use student’s mistakes as teachable moments and this creates an inviting, respectful and supportive learning atmosphere.